8       WAL Staff News      08                                  for a good belly rub! 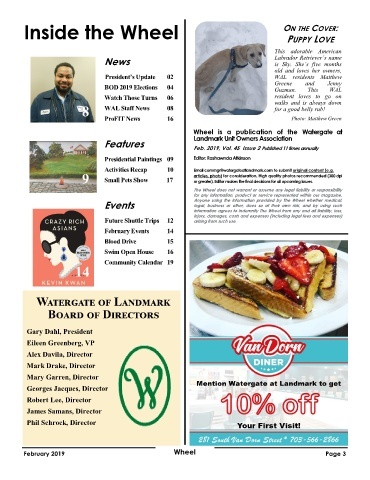 Activities Recap    10       Email commgr@watergateatlandmark.com to submit original content (e.g. or greater). Editor makes the final decisions for all upcoming issues. for any information, product or service represented within our magazine. Future Shuttle Trips  12    arising from such use.